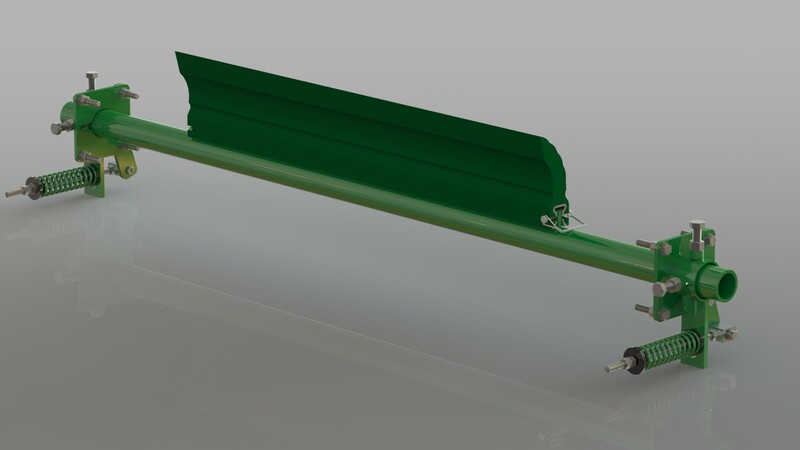 The Belle Vee Plough belt cleaner is an effective solution for protecting your tail pulley and belt from damage caused by spillage and debris that finds itself on the inside of your conveyor. Positioned just prior to your tail pulley or just in front of Gravity Take ups, the Belle Vee plough will deflect material from the belt ensuring it does not go around the tail pulley causing damage to both the pulley and your belt. 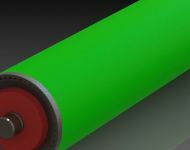 The Belle Vee Plough has highly durable urethane blades, which fits virtually any conveyor structure. The floating design ensures constant blade to belt contact and minimal adjustment over the life of the blade. Belle Banne’s unique design means that shipping of the plough is contained within one box, and the ability to assemble on site means no heavy lifting is required to position the plough. Discharges debris to both sides. Belts from 450mm – 1800mm wide. 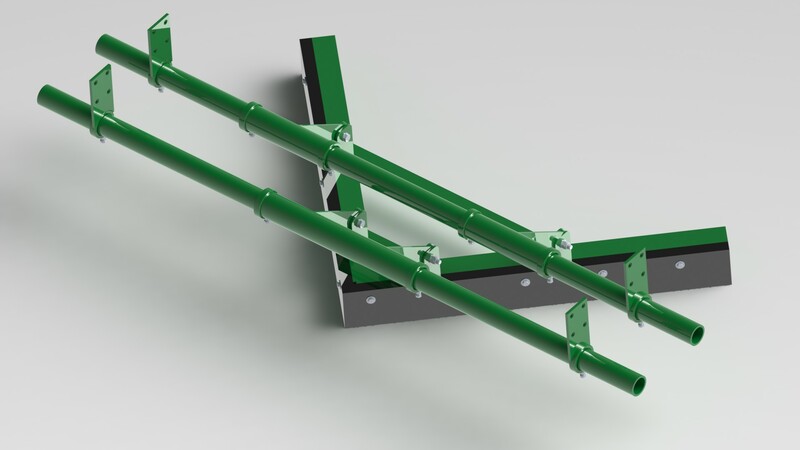 Fits virtually any conveyor structure. Belle Banne’s tried and tested primary, secondary and internal belt cleaners, combined with its skirting systems and tracking devices, deliver improved conveyor performance. All belt conveyor products are available in mild steel and stainless steel, and with a choice of tungsten carbide and polyurethane blades. Click here to access the Single Pole Vee Plough drawings page. 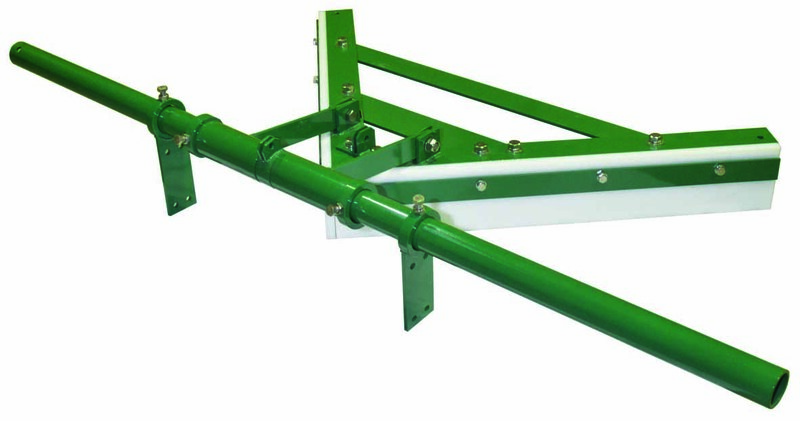 Click here to access the Heavy Duty Twin Pole Vee Plough drawings page. Click here to access the Diagonal Plough drawings page. – Available in mild steel and stainless steel.